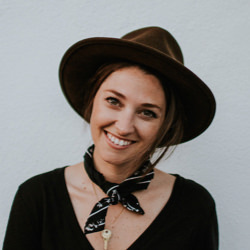 Joanna Waterfall | Yellow Co.
Joanna is the founder of the Yellow Conference, a gathering for creative, entrepreneurial minded women to be equipped, inspired, and connected for the greater good. She lives in the Los Angeles area with her hubs and cat, loves coffee, and sometimes goes days without washing her hair. The Yellow Collective is Now Open! Announcement: the Yellow Collective Membership Opens Up Next Week! So Darn Thankful for You. Our (Free) March Gathering & Some Exciting News! !